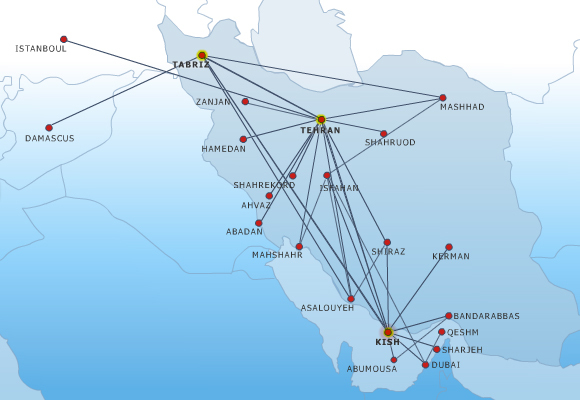 Kish Airlines is an airline operating from Kish Island, Iran. It operates international, domestic and charter services as a scheduled carrier. Its main base is Mehrabad International Airport, Tehran.